Mountain Stream Press, the publishing ministry of Warren B. Smith, is happy to announce the release of its latest book, Pressing On Through It All. The book is a compilation of several devotional articles Warren has written in the past year. The book is a topically laid out arrangement of Scripture verses, hymns, and meaningful commentary. This is book is a special treasure that can be used by those going through difficult times or by those who just want to be reminded how incredible God’s Word is. Available through Lighthouse Trails and most major online outlets. As former members of the New Age movement, my wife Joy and I have spent the last thirty-three years actively warning about the deceptive teachings of the New Age/New Spirituality that have progressively crept into the church. For the last ten years, to offset the spiritual heaviness that often accompanies this kind of ministry, I would study, compile, and then arrange certain Scriptures around specific themes that would provide my wife and I with encouragement and spiritual uplift. Almost as an afterthought, these personal studies became small booklets that were made available to share with others. I used the theme “through it all” for each of the booklets, hoping people reading them would find the same scriptural encouragement we had received from them. In writing these “through it all” booklets, Joy and I knew we had to be prepared to face the testing that would likely come with such a project. But little did we know that the testing would unfold as it did. Yet, we have marveled at how the Lord has sustained us and carried us through this difficult period. Over the last year and a half, we had to cut down and remove well over a hundred dead trees on our property that had become casualties of a recent four-year drought. Then one year ago today, we were suddenly displaced from our home-—and remain displaced as of this writing—by a destructive house fire that also resulted in the deaths of four of our beloved cats. Living in a number of different locations since the fire—many of them motels—we still await the restoration of our home. Adding to this and a number of other challenging events, I underwent three unexpected emergency surgeries after a life that had been virtually free of any medical concerns whatsoever. As a result of all of these trying circumstances, we soon found ourselves reading our own “through it all” booklets for encouragement and support—Trusting God Through It All, Standing Fast Through It All, Praising God Through It All, along with all the other booklets. And they have given us immeasurable comfort and strength during this demanding time. 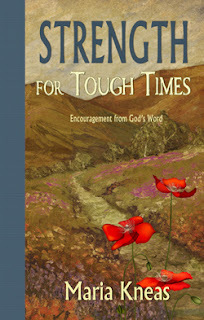 Now combined in one book, I pray these carefully selected scriptural compilations will provide you with the same degree of comfort and strength they have given us. God’s Word is truly awesome and encouraging, and oh so necessary, as we all endeavor to keep pressing on—through it all. “He died a long time ago, Pop,” I replied, though I knew he couldn’t understand. Starting at eleven-years-old, I entered the world of the occult. I was drawn into the darkness of it and never could grasp why. I was exploited by predators, raped, and abused and experienced all types of evil. This went on until I felt that I was at the brink of death. A staggering sense of loss and grief had become my constant companions. By the time I was fifteen, I had lived what felt like an entire pathetic life. I guess my parents should have asked more questions about the changes in me, but at the time they were struggling with serious health issues, and their lives couldn’t take on anymore than what was already consuming them. In the spring of my 15th year, I met a man hitchhiking who turned out to be a Christian. He gave me a copy of a book called The Cross and The Switchblade. It was the story of Dave Wilkerson, a skinny Pennsylvania preacher, who went to New York and faced down the worst, most deadly gang leader in New York, Nicky Cruz, and told him Jesus loved him. Nicky beat him up. Dave kept on him, and Nicky finally became a Christian. Eventually, after some very dramatic events, I too surrendered my life to Jesus Christ and became a Christian. Had that not happened, I believe I would have died before ever reaching the age of twenty. I had been on a road to destruction. Over the next few years, I continued to heal under the protection of some dear Christian friends and a seventy-six-year-old Baptist saint who took me in and loved me and taught me about God’s unconditional love. I devoured the Scriptures, and they broke the lies. I fought a vicious battle with sexual issues, depression, unhealthy relationships, deep loneliness, and a smoldering rage. I went immediately into “ministry” at sixteen, and before I was twenty-six, had been around the world. The occult, and demonic influence, had wrapped itself in every fiber of my being, and God gently and firmly took me out of it all. How was I to know that everything inside me would fall apart in my twenties, when as a respected teacher and youth leader, I would have to face a nightmare worse than anything I could imagine? God was now ready for the ordeal to come to me that I know broke His heart, but would be the final deliverance and revelation of who I was and where I had been. I was about to go to the gates of hell—not as a warrior—but as a wanted man, a traitor to the devil, and a terrified child. Those first forgotten eleven years of my life were about to intrude into my adult existence. I had to go back into the dark and empty corridors of my forgotten past to retrieve the truth and, in so doing, become fully prepared to go to war against the satanic powers, organizations, and occult rulers who continue to destroy the lives of thousands of innocent children today.